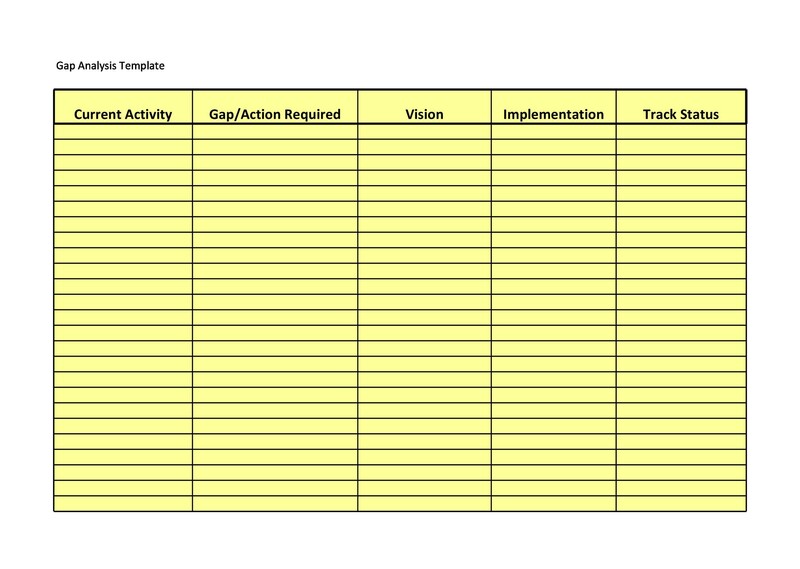 A gap analysis template is a visual tool that involves the comparison of actual performance with potential or desired performance. 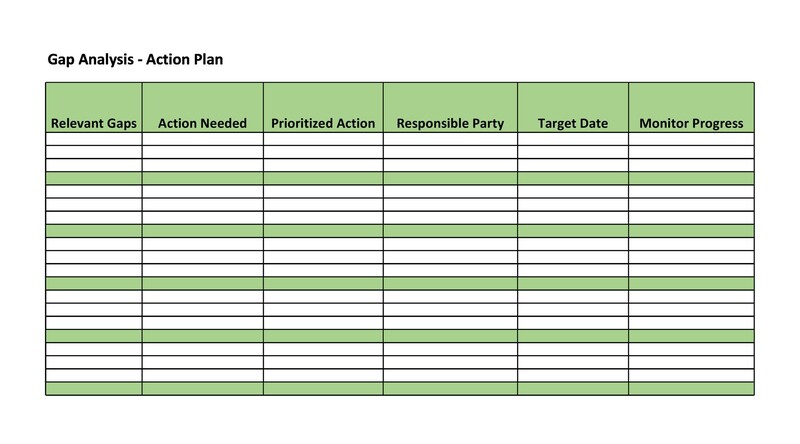 No matter what kind of organization you are, whether it be business or government run, a chart can be a useful way to show employees, as well as supervisors, where the margins should be. With an accurate graph, you will be able to see where present and potential problems lie whether it be from poor use of current resources or a forgo investment in capital or technology. 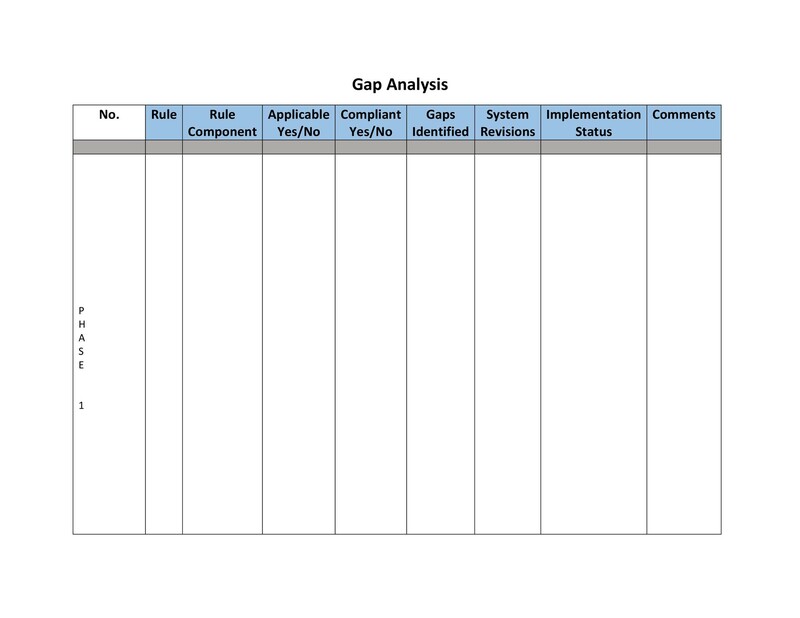 2 Why Does a Gap Analysis Work So Well? 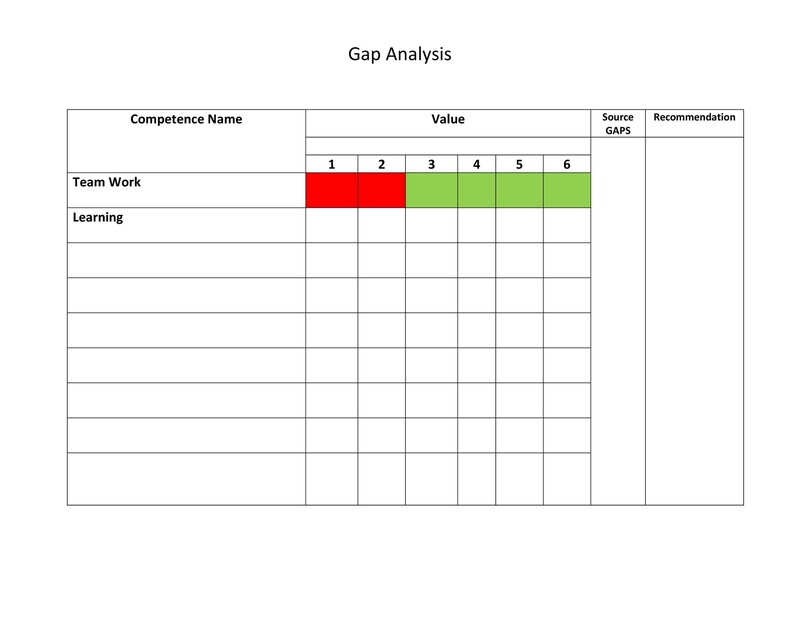 2.1 What is So Great About a Gap Analysis? 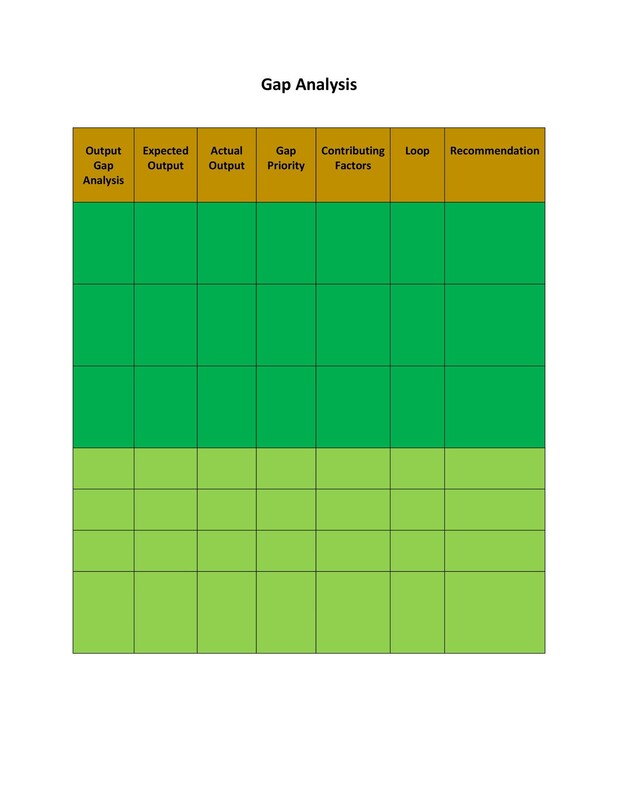 4 When To Not Use a Gap Analysis. 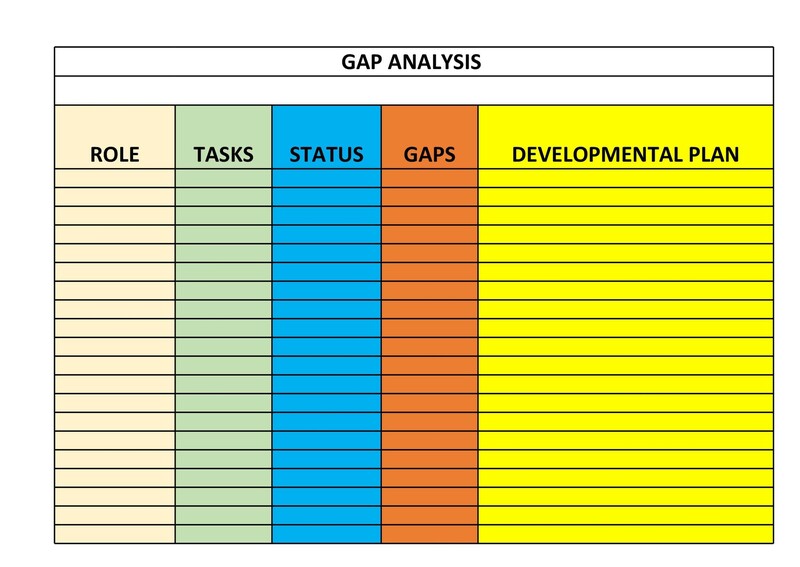 7 Do I Really Need a Gap Analysis? 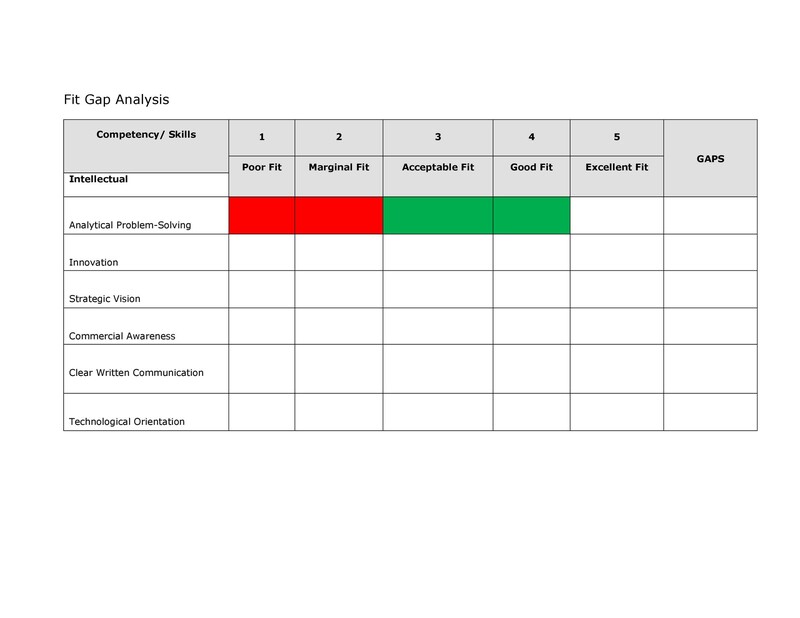 8 What Else Can Make My Gap Analysis Stand Out? 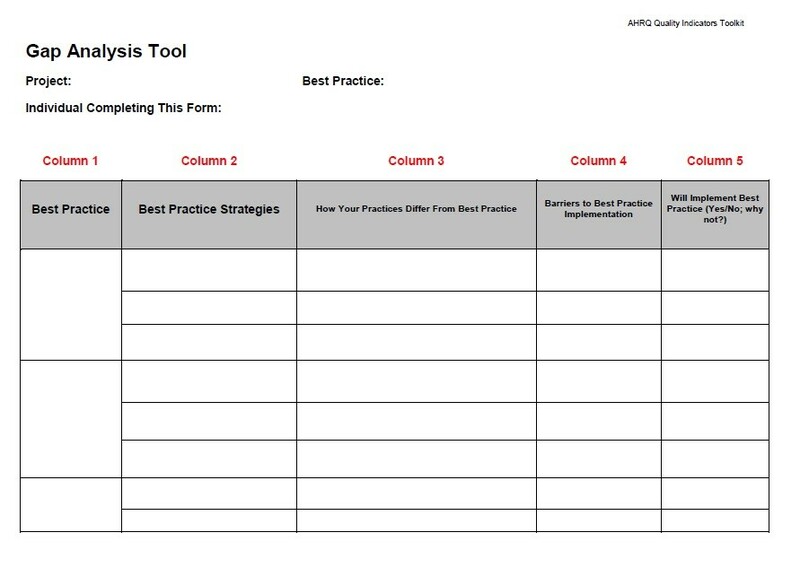 9 When Was the Gap Analysis First Used? 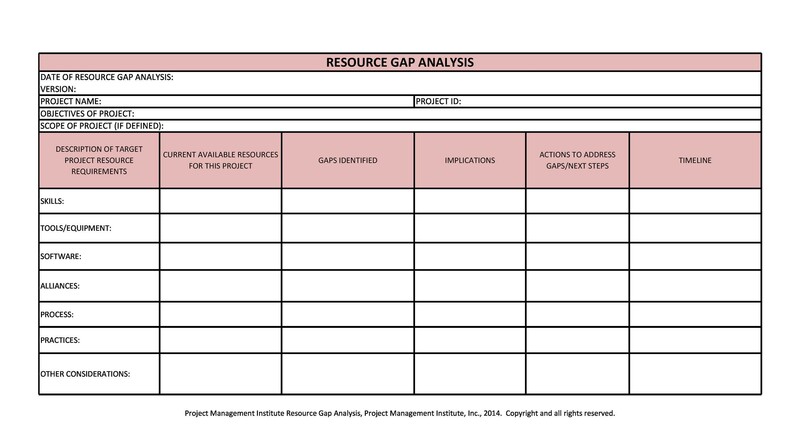 What Are Some Other Reasons to Use a Gap Analysis Template? Measuring gaps is the first step in enhancing customer satisfaction. Competitive advantages can be achieved by exceeding customer expectations outlined by the gap analysis. A gap analysis is clear and easily understandable. A gap analysis can be used while developing an employee benefit program. Many business owners use organizational charts and visuals to better help convey the message which they are trying to get across. Just a quick glance at can show any inefficiencies that the business may suffer from. 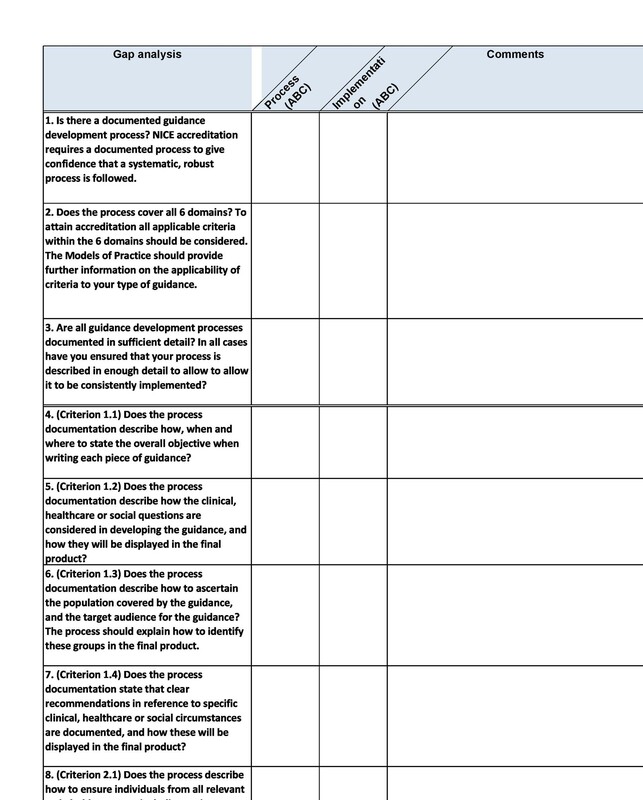 The business tool could be used to explain satisfaction and to document areas in need of improvement. This makes it easier for employees to understand and keep track of future expectations. 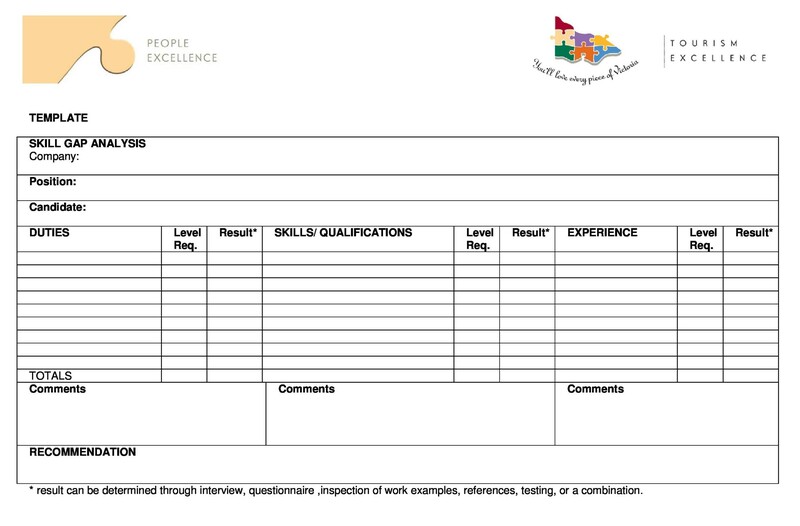 The gap analysis is extremely useful in all aspects of the workplace and is a clear and formal way to show employees any progress you want to make. Many times when you use a gap analysis for your business, problem that you didn’t even know existed will become apparent. In this way we can get rid of the inefficiencies that the business may have. A quick glance at the organizational chart can tell you anything from organizational mishaps to production mistakes. You can discover what your business is missing to make next month’s sales or next year’s sales because it covers a very broad range. If you are looking to save time, money, and resources while resposibily using capital and labor, a gap analysis is the best way to do so. Lookout for major jumps from one column to the next for no apparent reasons that you are aware of. 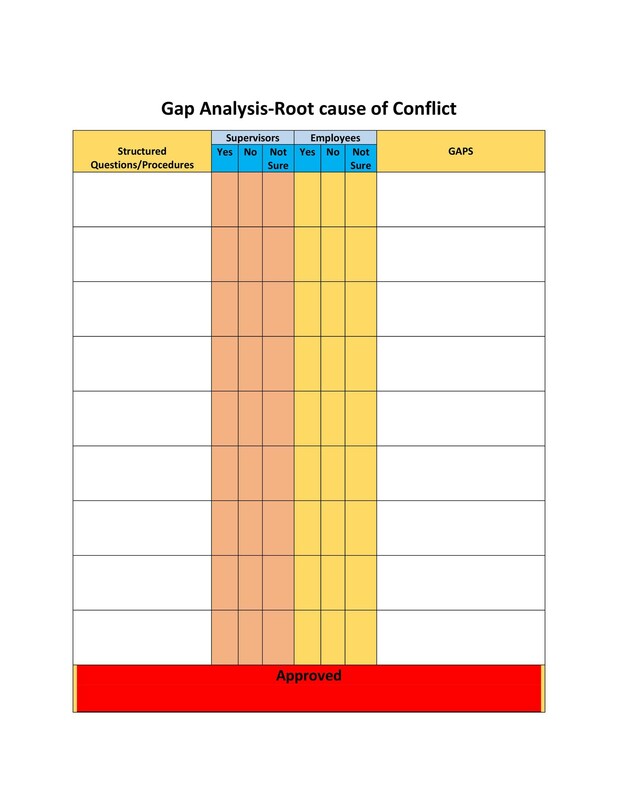 The good thing about a gap analysis chart is that key areas and focus in on an problem spot if needed. 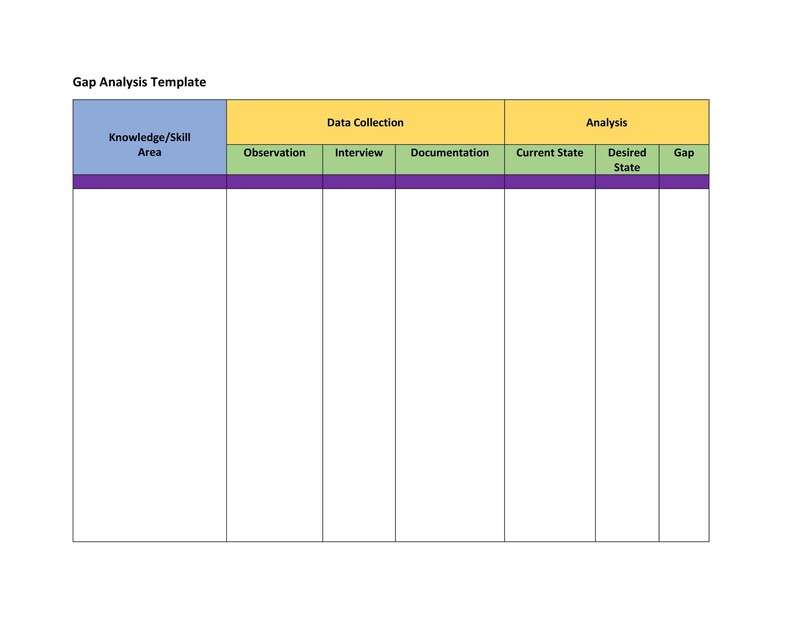 Reorganizing it is also very simple and easy however It may be a difficult concept to grasp for people who aren’t seeing the gap analysis template. 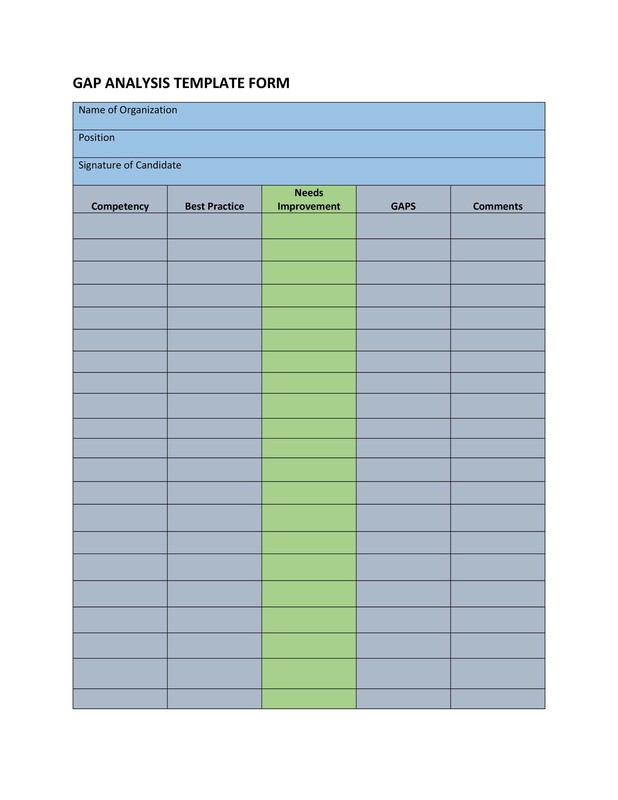 Sometimes it may be beneficial to have employees and yourself fill one out in all areas that they are efficient with. If nothing else, make sure everyone has a copy and can physically see what you are trying to explain. 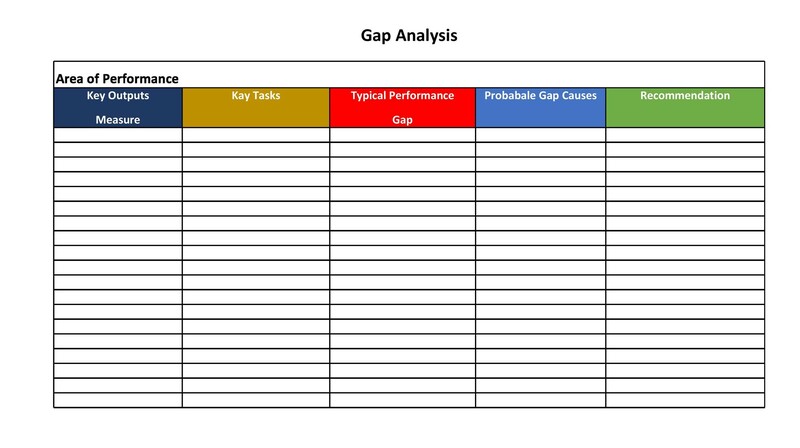 Why Does a Gap Analysis Work So Well? Running a small business can be a very difficult thing to do so having all of the right tools is very important. They make it easy to convey the correct messages to all of the right people in a way that is simple to understand. This is one reason that so many business use our templates. 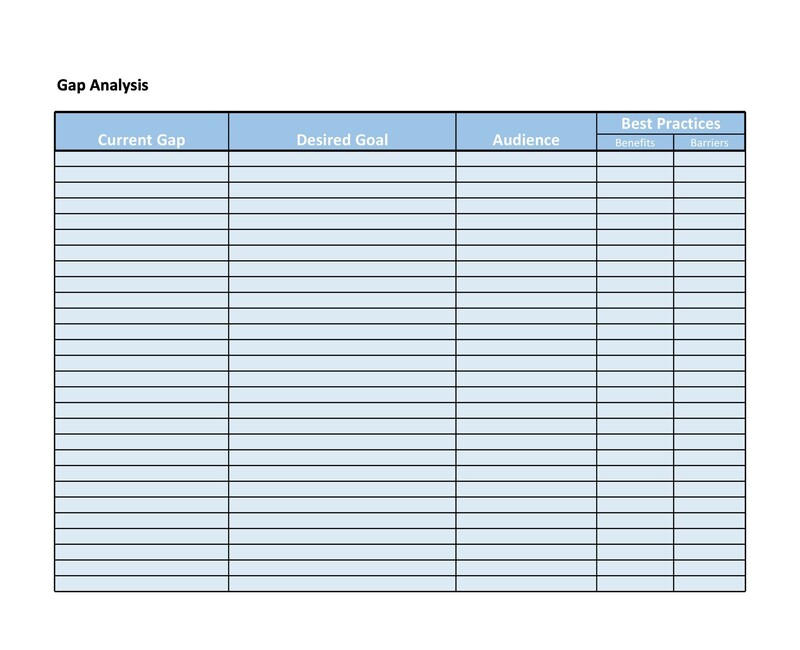 A gap analysis template is no different. 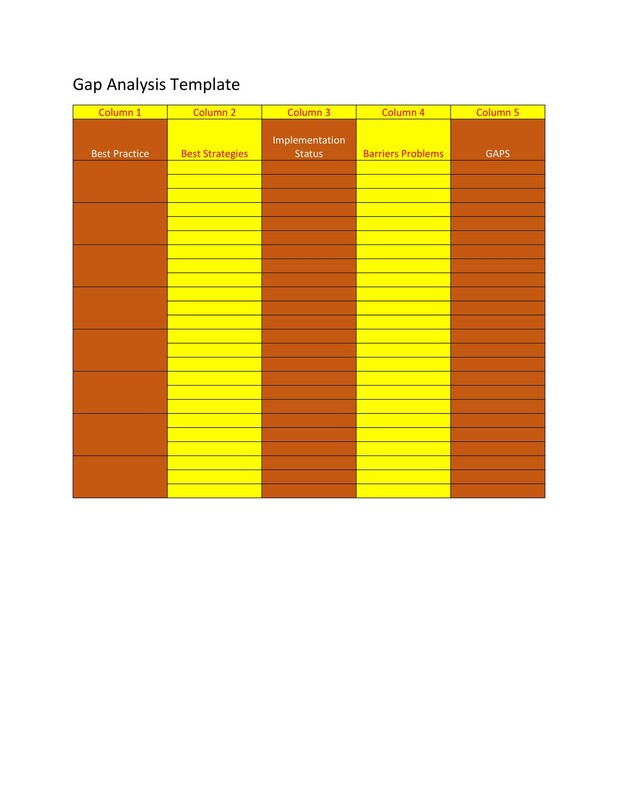 Organizational charts can be used universal and this applies to to a gap analysis as well. Though not everyone can understand the same words and languages as we can, most understand numbers, especially when they are organized in a way that is not cluttered and easy to understand. Though it has been mentioned before, it is important to notice just how much of a difference it can make. What is So Great About a Gap Analysis? 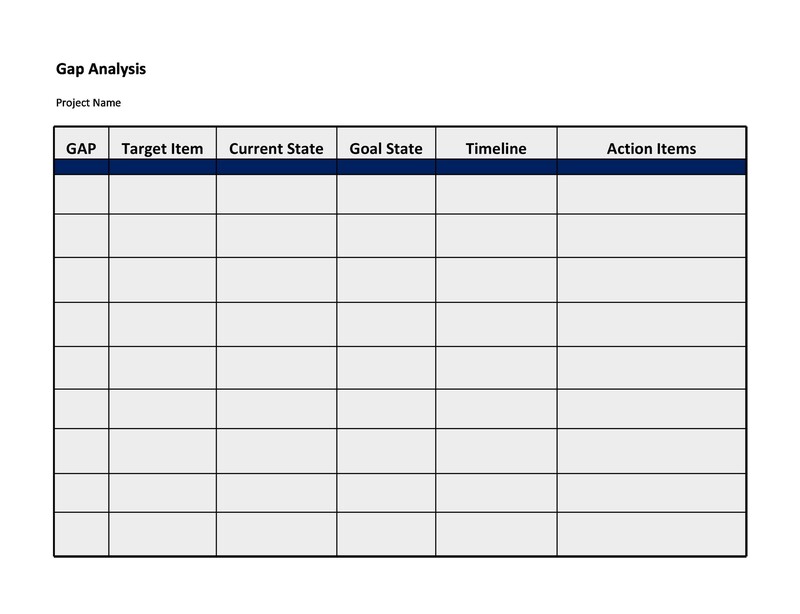 While many methods for undertaking a gap analysis start with looking at your own company’s performance, I think that it’s helpful to first have a goal in mind before using the analysis process. 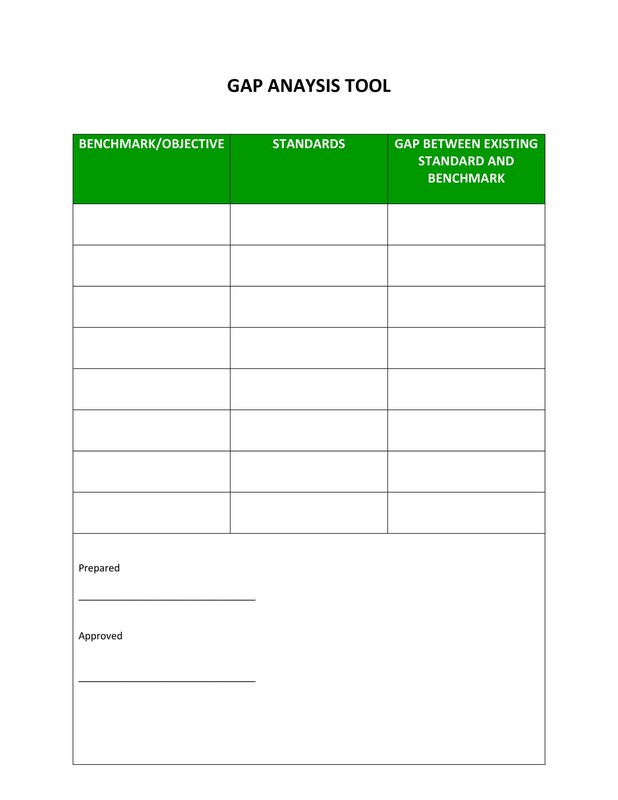 Some business look to benchmarking and best practices of other companies to perform their gap analysis. This is why a gap analysis is so beneficial to everyone. 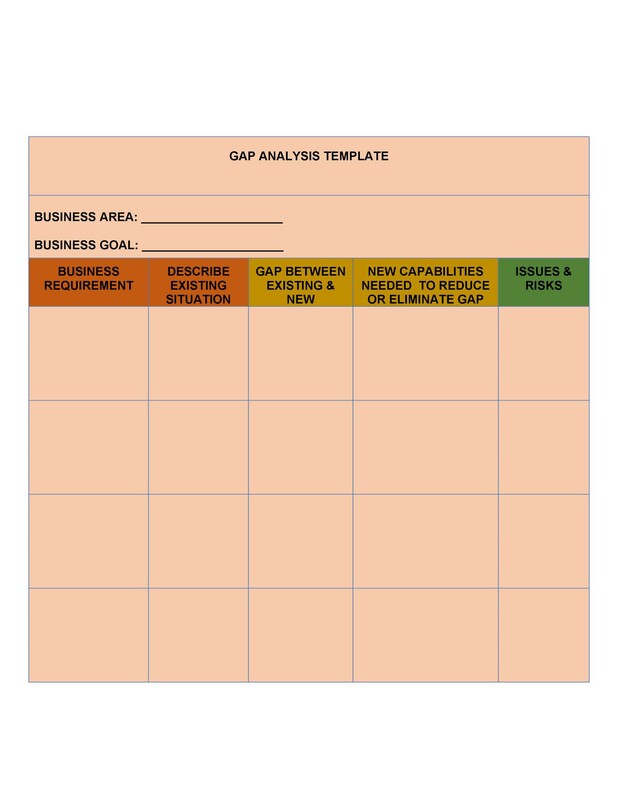 The gap analysis template is universal. It can be used for any company or business at any time and in any way. 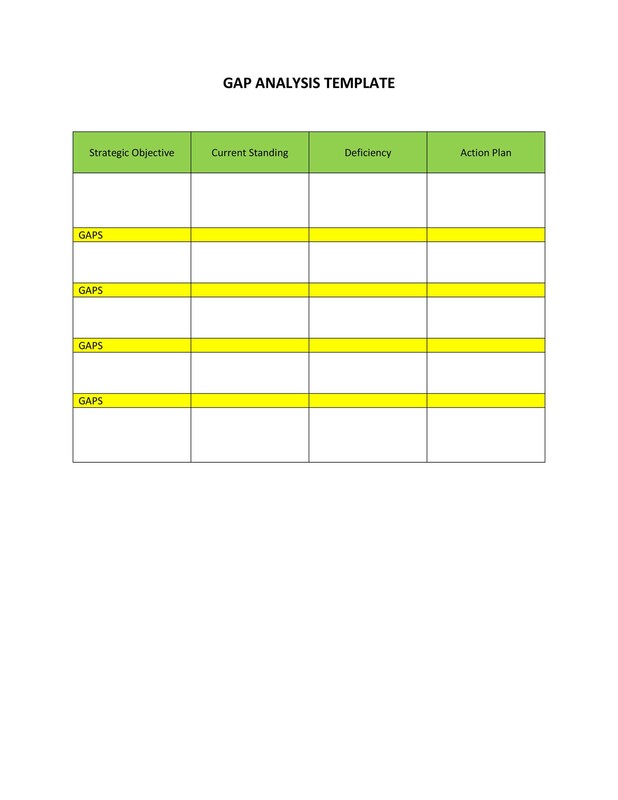 It lays everything out on the table for strategic purposes and helps for future planning for better business methods. 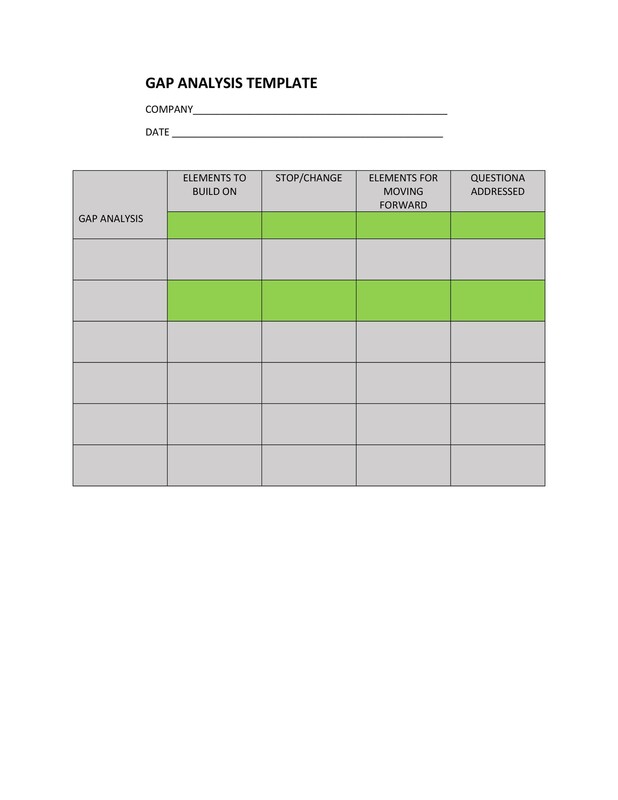 As already mentioned, a gap analysis is a type of organizational chart that allows your employees or supervisors to advance their profits and do what is best for the company’s sake. 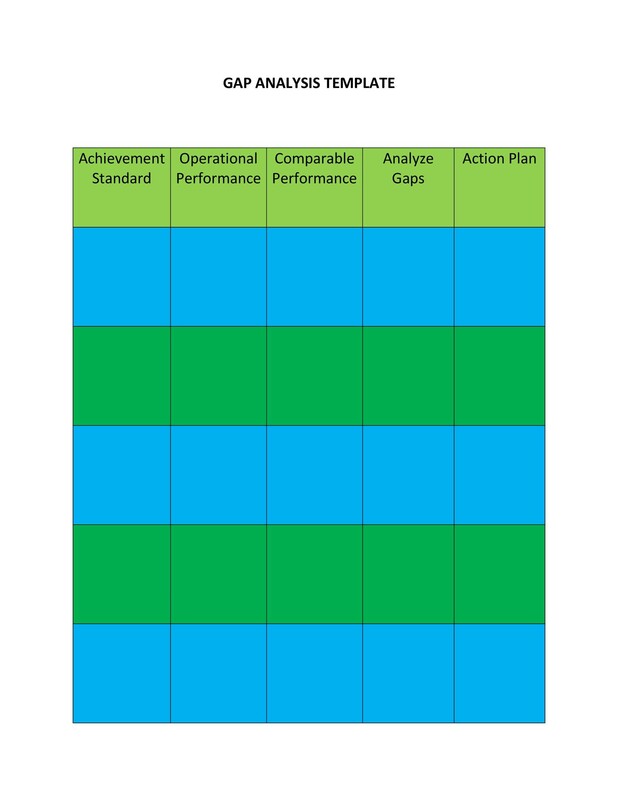 Managers can use the gap analysis the see what their next move should be to maximize changes and in turn, maximize the positive changes that will occur. The best change that will occur from the use of a gap analysis is the ease and portability of the spreadsheet. Whether you want to discuss something in the office or in a social setting, you won’t have to carry around a bunch of papers in a briefcase or anything else. 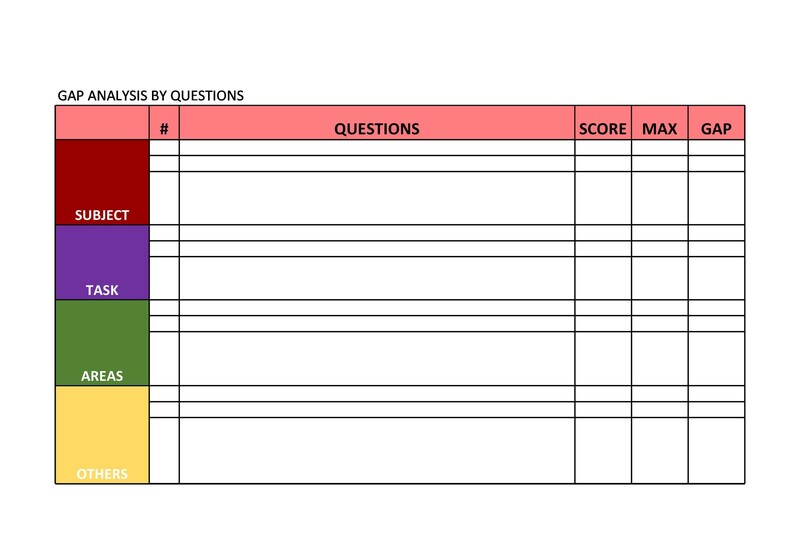 You will have all the information you need in one nice and neat sheet. When To Not Use a Gap Analysis. 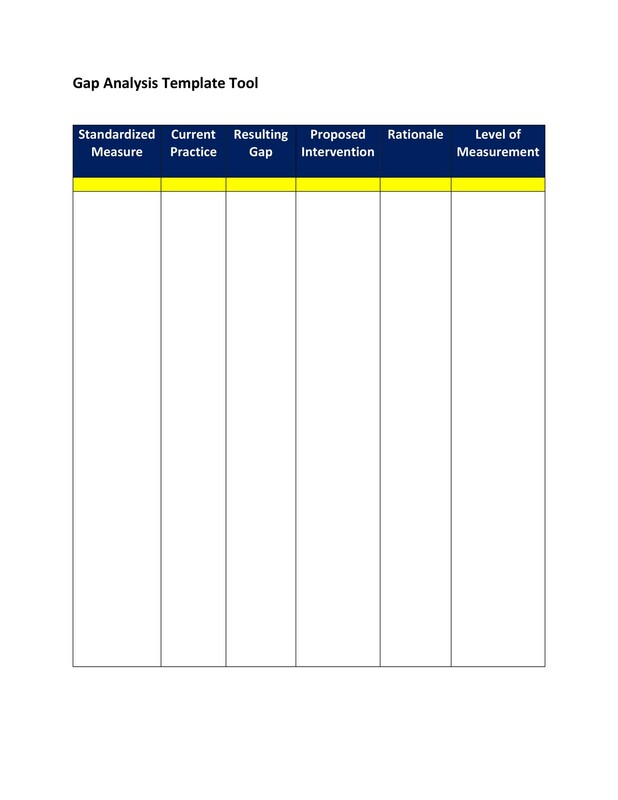 When examining what to not use a gap analysis for, it is always good to remind ourselves what exactly the organizational tool is used for. 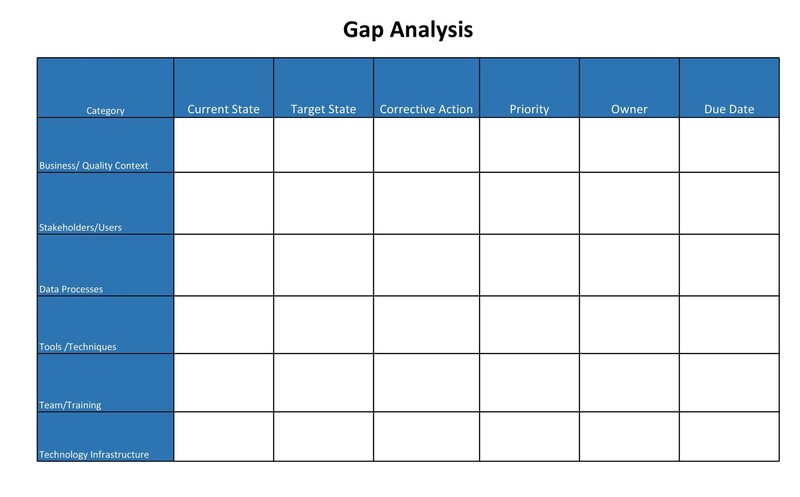 Again, a gap analysis is a technique that businesses use to determine what steps need to be taken in order to move from its current state to its desired, future state. 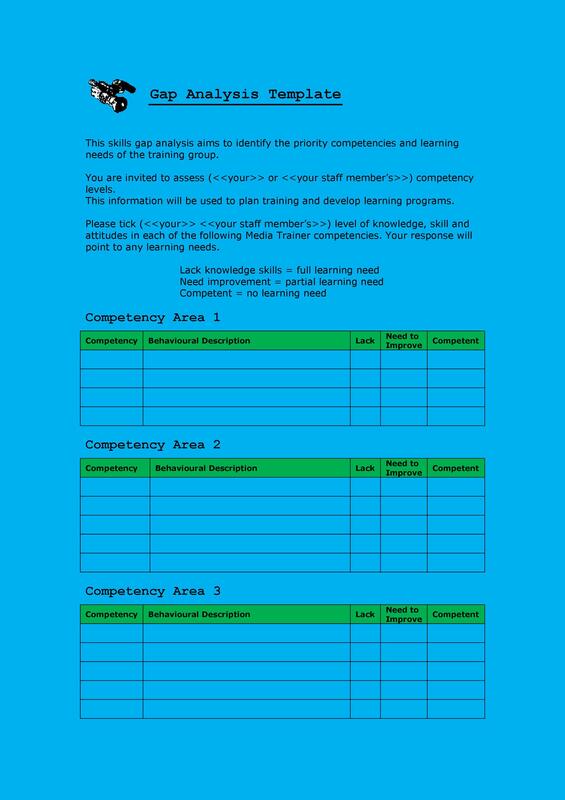 It consists of listing of characteristic factors such as attributes, competencies, and performance levels of the present situation as well as listing factors needed to achieve future objectives. 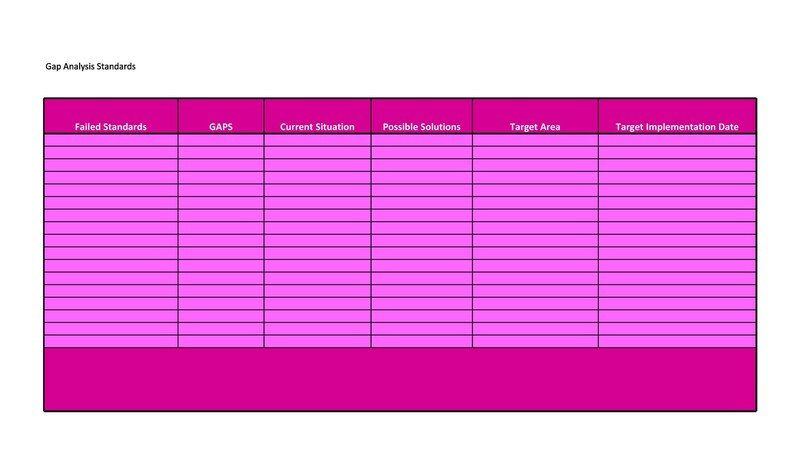 It also does an amazing job at highlighting the gaps that exist and need to be filled. A well prepared gap analysis forces a company to reflect on who it is and ask who they want to be in the future. One thing that a gap analysis can not do is to show the complexities of the problem that may exist from within your company. For example, a gap analysis may show that a problem is occurring from within the accounting division, but that doesn’t tell you exactly where someone is messing up or who the perpetrator is. 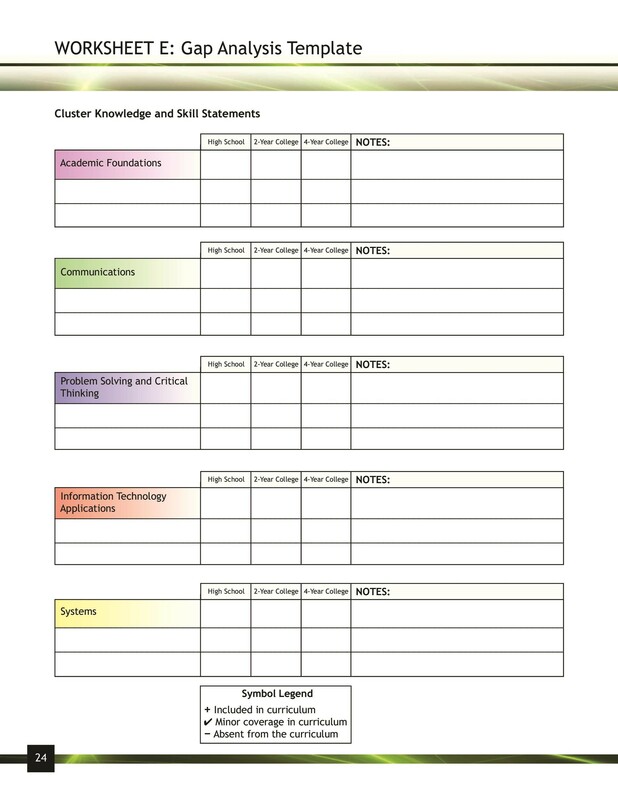 This may be an area that another organization tool would come in handy. 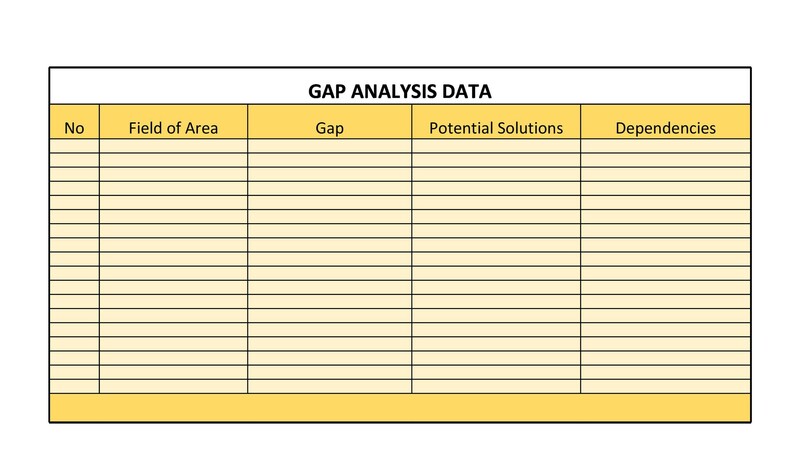 Another downfall about a gap analysis is the fact that it is a one time thing, existing in the moment but wrong after every second after it is printed or finalized. What I mean is that a gap analysis has to be kept up to date. 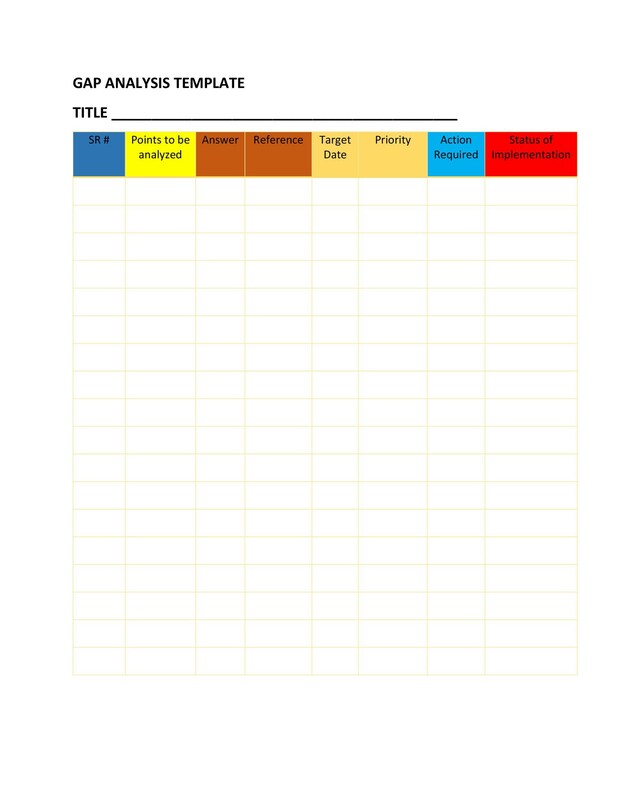 In a world that is always changing, sales always being made, it’s important that you have show the sheet to a supervisor as soon as you finalize it because things could change rapidly in a couple of days if you let it. 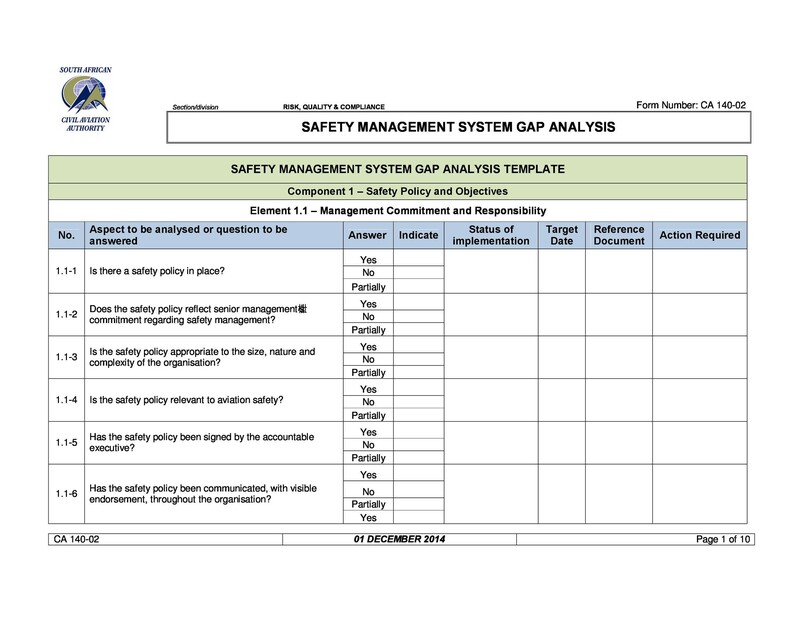 Just like with anything else you create for professional and workplace eyes, it is always important that you review your gap analysis and make certain that no technical errors have been made. Go through the following checklist to ensure that your information is correct. Review and Revise Human error is always a possibility when it comes to getting information from one thing to another. Our eyes tire out and it isn’t impossible to forget a zero on one thing or a two on another. Ask yourself, “Are all the titles correct?,” and if any inaccuracies do exist double check your original files and then correct the error. 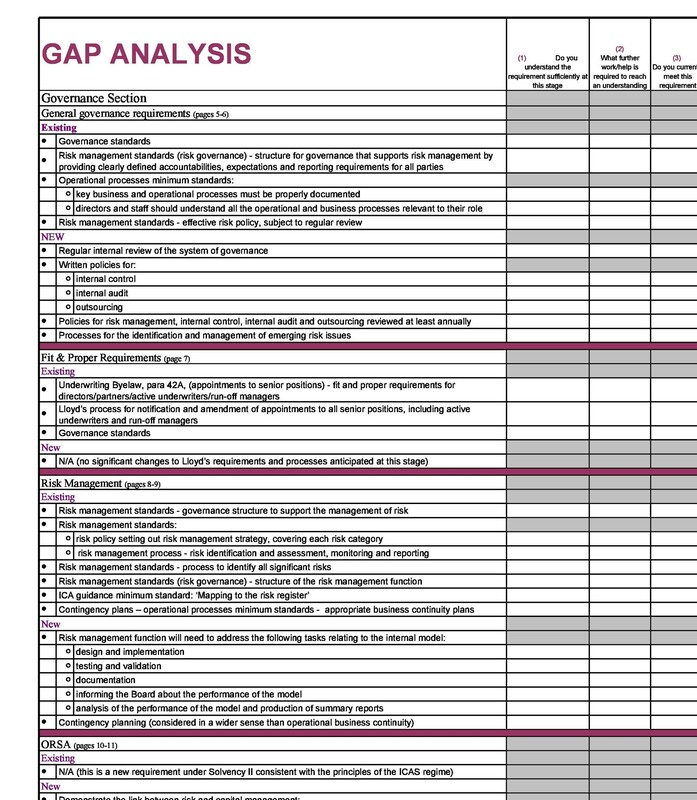 Format the Gap Analysis to fit on a Maximum of Two Pages It is important that when you hand a colleague a page filled with numbers, that it is easy to work out in his or her mind. If you have fifteen pages, you don’t want them to have to flip back and forth multiple times to find a certain thing they are trying to find. 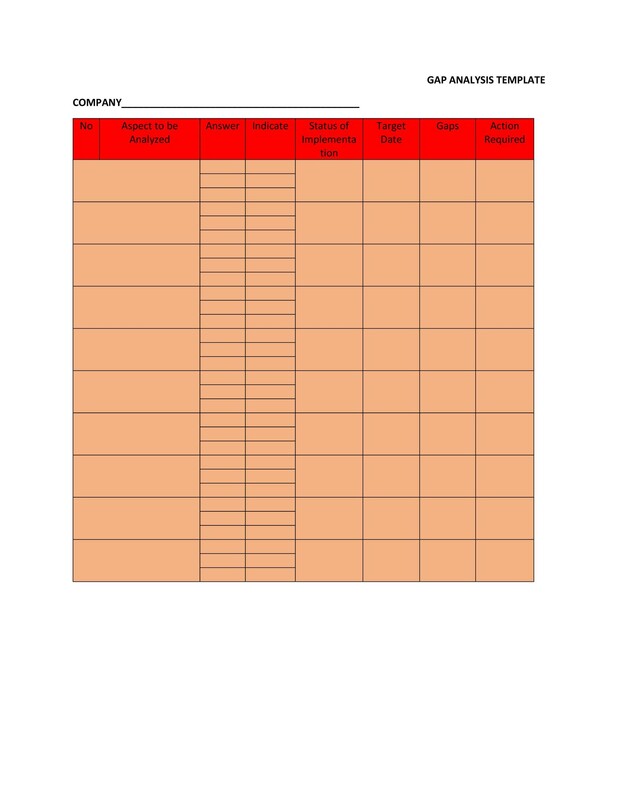 Print the Sheet in Portrait Form A gap analysis is best viewed in portrait mode for several reasons. First, the columns and rows could distort if not properly positioned right. This would cause the numbers to go astray. It is also easier for someone to read. In portrait mode, the gap analysis falls right under the vision of the eyes. In landscape, the eyes strain under the pressure. Are the Numbers Jumbled It is important when you present the chart or spreadsheet that you can accurately read off any numbers that strike you as odd. They also need to be easy to find and your colleagues need to be able to easily identify them. Keep the Colors to a Minimum While it is important that different colors be used, it is also important that those colors aren’t flashy and they will not be hard to look at. You should use a dull, light color with dark text or either dark background with light text. Make Sure to Respect Authority Always have extra copies of the gap analysis on hand for someone to look over and check or you risk not being taken seriously. No one wants to be told they are doing something inefficiently but it becomes worse if there is no proof. Make Sure to Bold Important Digits If you are drawing attention to a certain area, it is customary to bold, or sometimes italicize, the numbers. It makes for a neater and easier to read gap analysis. 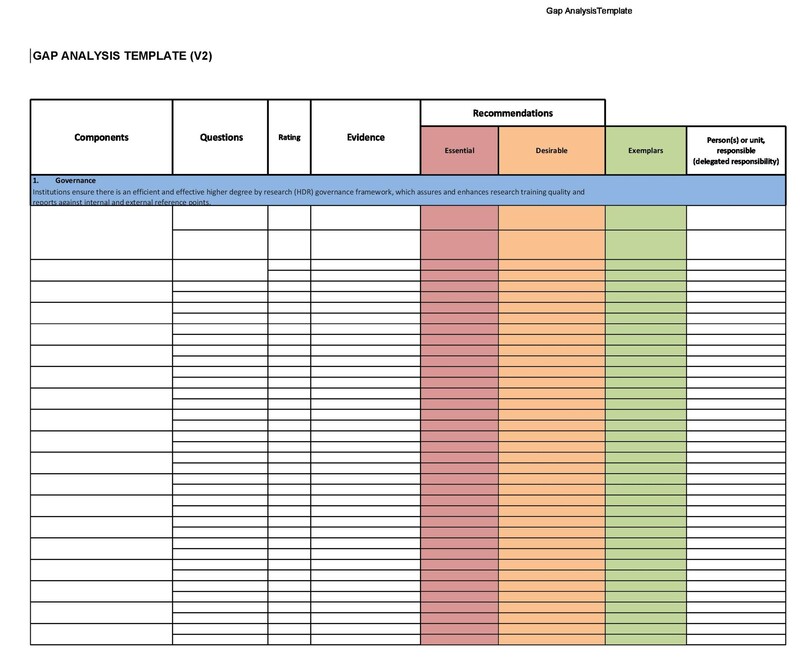 Make a Digital Version If for some reason you created the gap analysis on paper, it is important to make it on the computer as well. This provides a more professional look as well as it creates a hard copy backup. 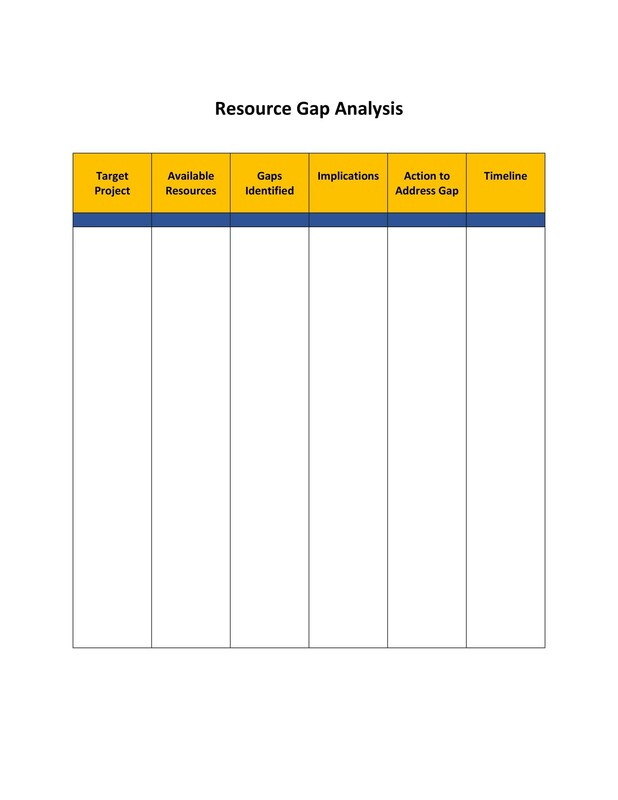 Do I Really Need a Gap Analysis? The answer to this can be many. 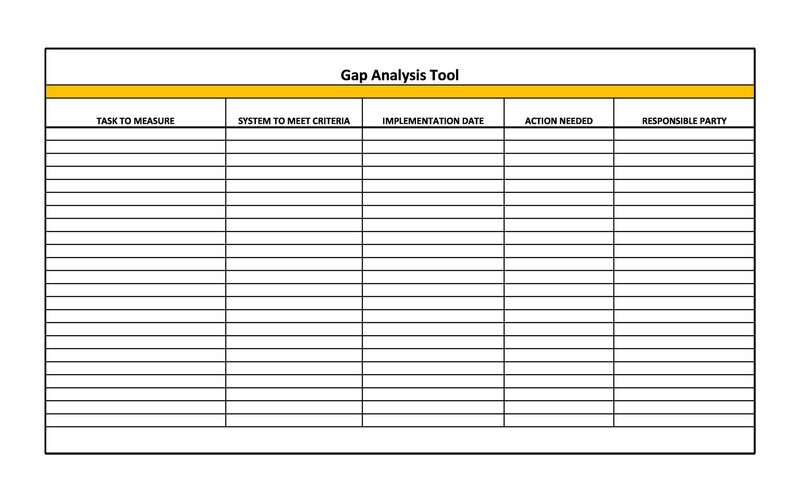 It is dependent on what you are using the gap analysis for. If you have someone who specializes in creating the graphics for company presentations it wouldn’t hurt to ask for their advice. Give them a copy and ask that they review it and get back to you with feedback. It will look good that you had someone look over it if there is a mistake on the chart or spreadsheet. 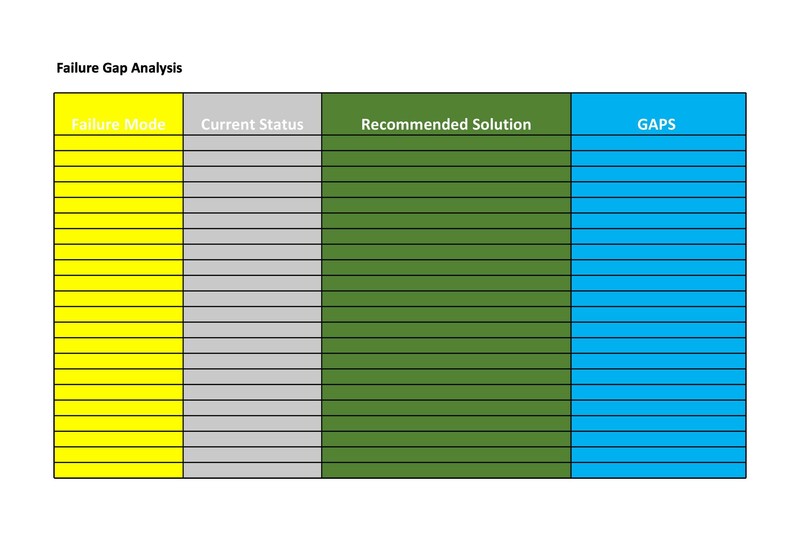 What Else Can Make My Gap Analysis Stand Out? As said before, the correct use of colors will really make your analysis stand out. If you are too accidently use the wrong colors, it can be a deal breaker as many people do not want to look at a violently bright sheet of paper for long. You may find yourself in a hole and the promotion you had hoped to get is down the drain because of a thing as simple as color scheme. Another very important component is the numbers and how they look on the page. It is important that they look professional. The more important ones need to be in bold and the easiest to read and comprehend. The option to highlight would be a good investment in this area if you are trying to make a point, though it should be used very cautiously. Line thickness and underline can also be used in the gap analysis. 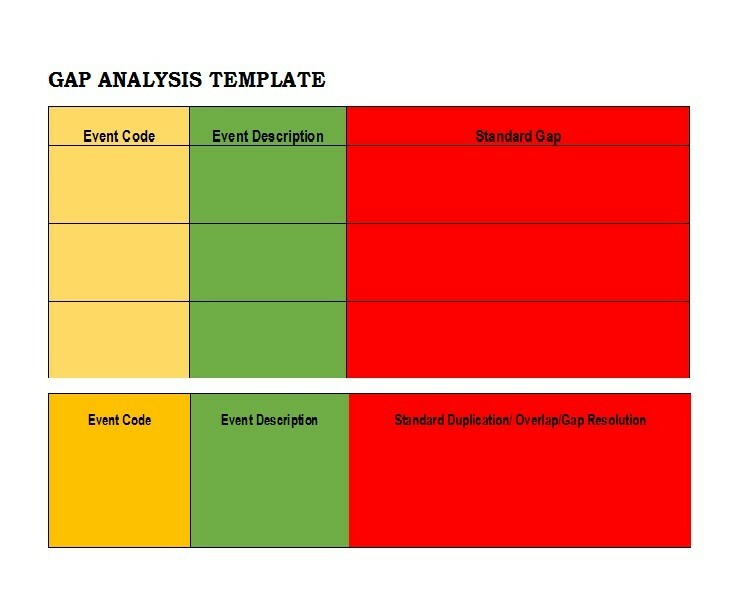 When Was the Gap Analysis First Used? The first use of the gap analysis is unknown, but it has reappeared in recent centuries and become a very part of the foundation of modern economics. It has become know for a means of classifying how well a product or solution meets a targeted need or set of requirements. In other words, a gap analysis has become know for determining whether a business is making its keep or not. The gap analysis wasn’t put into a visual and organized form until the early eighties and even then there were serious differences in what we now call a gap analysis today. Most professional entrepreneurs and big monopoly owners are very thankful for the gap analysis and use it on a regular schedule. They are currently being used all over the globe. 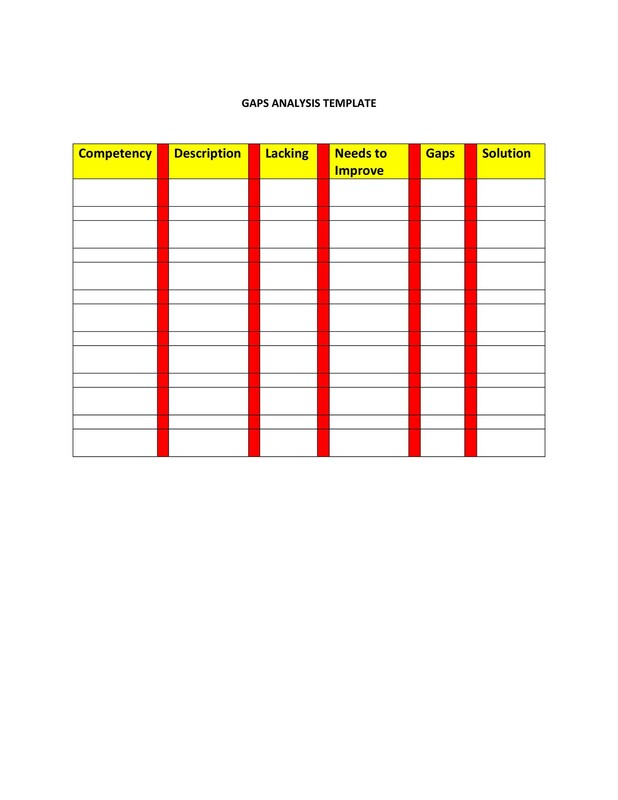 Don’t forget to download your gap analysis template today.